France is Africa’s never-ending nightmare. The pain and destruction France has caused Africa is quite untold. To the French elites of yesterday and today, Africa as a continent was and is nothing but an “uncivilized” colony and that, it dawns on France to “civilize” Africa. As French president Emmanuel Macron recently made clear, to France, Africa has a “civilizational problem” and France cannot abandon Africa. In fact, France has been on a “civilizing” mission in Africa since the mid 1800s. France conquered large parts of North, West, and Central Africa as part of its attempt to “civilize” Africa. Sadly however, France’s national motto “Liberty, Equality, and Fraternity” (Liberte, Egalite, Fraternite) did not apply to its African colonies. France was and remains one of the most barbaric colonial masters of all time. France’s colonial activities in Algeria for example, was so barbaric even Emmanuel Macron himself admitted that France’s 132-year colonization of Algeria involved “crimes and acts of barbarism”. And to those of you who don’t know how barbaric it was in Algeria, over a million Algerians lost their lives during the Algerian war of independence. Most other colonies who challenged French authority had it worse than Algeria and some of their stories remain untold. The question however remains, why is France so much interested in “civilizing” Africa? Well, there is no simple answer to this question. However, according to former French president Francois Miterrand, “Without Africa, France will have no history in the 21st century”. Why? Well, France needed energy, money and resources and France received and continues to get all that plus more from Africa. It is almost impossible for any French colony to gain total independence and the reason is because, France puts measures in place to control and manage its former colonies from afar. Although many of the French African colonies had gained independence by 1965, France was still in control of the affairs of those former colonies. Someone may ask, what are some of the measures France put in place to control the affairs of its former colonies? Well, a key term to understand France’s role in modern African affairs is “France Afrique”. This term refers to the actions and policies of a network established by French army officer and former president General Charles de Gaulle and his ally Jacques Foccart. This network of African politicians, leaders and businessmen helps France maintain and control former colonies. How does “France Afrique” work? Well, it may surprise you to know that France provides the currencies of 14 African countries (12 of which are ex-colonies). Guinea-Bissau, Mali, Benin, Burkina Faso, Senegal, Ivory Coast, Niger and Togo with a combined GDP of over 100 billion US dollars, use the West African Franc. Also, Cameroon, Central African Republic, Chad, Congo-Brazaville, Equatorial Guinea and Gabon with a combined GDP of over 120 billion US dollars, use the Central African Franc. Both the West African Franc and the Central African Franc are provided, managed and controlled by the French treasury. In other words, most of these countries’ wealth is actually managed and controlled by the French treasury. Former president of France Jacques Rene Chirac admitted this in an interview. In the interview, Jacques Chirac said, “We (France) have to be honest, and acknowledge that a big part of the money in our banks comes precisely from the exploitation of the African continent”. In fact, according to sources, even Jacques Chirac himself and Dominique de Villepin, the former prime minister, regularly received suitcases stuffed with millions of francs from a string of African leaders. Just last year, France's former president Nicolas Sarkozy was in police custody to be questioned over allegations that he received millions of euros in illegal election campaign funding from the regime of the late Muammar Gaddafi. Sarkozy was taken into police custody not because France saw anything wrong with Sarkozy taking money from Gaddafi but because the money Sarkozy took from Gaddafi illegally financed his 2007 presidential campaign. 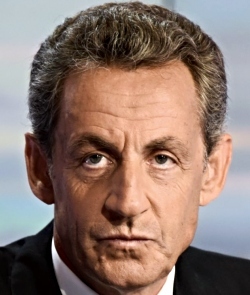 Sarkozy took over 50 million Euros from Gaddafi to finance his presidential campaign and France is mad because that money helped Sarkozy win the elections. Meanwhile, that is exactly how France operates in some parts of Africa. Because the former French African colonies are all resource-rich nations, French companies such as Areva and Total, have major investments in the region and as we saw from the 1994 scandal involving the French oil company Elf, these French companies in Africa mostly pay bribes to African leaders to secure their allegiance to France and maintain French rights to local oil and other resources. France often uses money and power to influence elections in Africa so that their “favorable” candidates win. This also explains why France continues to support crazy leaders like Idriss Deby of Chad who has been in power since 1990. Copyright © 2019 AfricaW.com. All rights reserved.